Lately, the Cuban dictatorship has stepped up the persecution and harassment of internal dissidents and of activists of peaceful projects who lay claim to rights that belong to all of us. Arrests, searches and mobs that are egged on against those Cubans devoted to civil resistance have become daily events throughout the Island. As an additional way to harass and extinguish the claims, members of the police force have been confiscating digital media belonging to the activists (computers, memory drives, cell phones, printers, etc.) in a desperate attempt to stop the dissemination of the Human Right Covenants and the collection of signatures for Citizen Demand for Another Cuba. At this dangerous time, the voices raised in our support are the solidarity that demonstrates the good will of many Cubans in and out of Cuba, in an effort to build a better Cuba for everyone. I want to personally give thanks for the feeling of unity that comes from afar through Cubans whom we feel very close to, the promoters of the Appeal for a Better and Possible Cuba, a document which I have also signed. I append a copy of its context below which was sent to me and which encourages me to continue in this struggle. 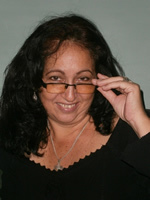 In keeping with the feelings of a large number of signatories of the Appeal for a Better and Possible Cuba — many of whom had previously signed the other Citizen Demand for Another Cuba, calling for ratification of international human rights covenants — denounce the brutal aggression against the rights that allow Cuban citizens to express their views and make political demands. Since last Thursday, August 16th, the Cuban government has launched its repressive force against the promoters of the Citizen Demand, attacking Diosbel Suárez, Idalberto Acuña and Santiago Cardoso with pepper spray and beatings in the Havana county of Marianao. The three were handing out copies of the document, and were later arrested. Other violent and repressive acts are currently being reported. We call on all decent people of Cuban or of any other nationality to mobilize immediately in order to denounce, in every possible forum, these repressive actions, and to also protect these brave peace activists. Promoters of The Appeal for a Better and Possible Cuba. One of the most noticeable features of “Cubanness” is our ancestral tendency to derive patterns from subjectivities. We like to imagine ideal things, automatically assuming they are palpable realities. If what we imagine coincides with our wishes, then you can count on the legend overflowing beyond what is rationally allowed: a new “truth” would have been born, based solely and exclusively in our childish expectations. The job of the PNR is to care for public order and prevent crimes, while the Political Police aim to eliminate all political opposition to the government. The Political Police enjoy political patronage which the PNR does not have, such as salary benefits, more favorable working conditions, resort vacations, rich and varied fleet, personal care products and clothing, footwear, etc., inserted in what they call “quality of life” of its agents. The Political Police are often dismissive or despotic towards agents of the PNR, which are subordinated to it, though, by current law, this should be exactly the opposite: Political Police agents should be subordinate to the PNR. The agents of the PNR are as exploited and humble as any other Cuban, and go into its employ only in search of better wages, so they tend to distance themselves from the repressive practices of the Political Police. I will limit myself to these elements, though there are other brush strokes with which the very picturesque populace decorates this theme. I confess that I too am tempted to yield to the illusion of this PNR-dissidence affair. Bottom line is that an agent of the PNR has never addressed me in a disrespectful manner, even the time when, not long ago, by order of the Political Police, my friend Eugenio Leal and I were driven in a patrol car, with the sole aim to get us away from the activity in a public park in the capital. I remember that on that occasion the officers of the PNR seemed downright upset, but not with Eugenio and me. I don’t know, maybe they were just self-conscious and here I am, thinking that they are turned off at having to punish us. We often hope for a wink of approval to help us get over the nightmare. This democratic spirit can make us extremely romantic. Believe me, I too would like to think that the hangmen of State “security” (insecurity?) are “the bad guys” and the boys of the PNR are “the good guys” but I have great reservations in that respect. After all, there are more issues that link the two forces of repression to one another than any alleged sympathies or consideration of the PNR to police dissent. In any case, the dungeons of the PNR units are the barricades of the Cuban democrats, and numerous are the clubs wielded by those in blue uniforms that have beaten more than a few nonconformists, and they too have been a direct part of or accessories to other abuses, such as “citations,” arrests and detentions. I don’t think it fit to, nor do I claim a “moral approval” between the police of the PNR and any member of the opposition and independent civil society. The PNR have been quick to handcuff us and drive us off in their patrol cars, they are the same ones that routinely extort the self-employed, the prostitutes, and any of the millions of Cubans who are forced into crime to survive. The PNR is rotten with corruption to its core. Its agents, trained in violence, threats and intimidation, are the ones who close off the streets so the repudiation rallies can take place, the ones that protect its members while leaving opponents in the most profound helplessness. They are, in short, a part of the government machinery stifling the freedom aspirations of Cubans. Make no mistake; both the PNR and the Political Police are an essential part of the dictatorship, though the latter may be only the last wretched link in the chain. As for me, I will believe in the legend of the “good guys” PNR on that the imaginary day when the blue agents will refuse to follow orders from the Political Police to beat up the peaceful opposition, or when they will simply quit, en masse, an institution whose only reason for existence is to repress and extort. In Cuban conditions, where survival depends on thievery, to be a cop necessarily means to harass the people, which is why one cannot be cop and a good guy at the same time. And I hope some fool does not tell me that these are a “bunch of country folk” trying to make it in the capital and other cities in Cuba, that they are “too young” or a bunch of “ignorant poor babies” without clear awareness of what they are doing and that they just “follow orders”. It doesn’t sit right with me. Most of the country folk I know are hard workers, honest and with a sense of honor, incapable of abusing other Cubans. A sense of dignity is not exclusive to any age group, nor does ignorance exonerate anyone of their civic responsibility. Perhaps someday the PNR will have to answer for their actions in the same way that State Security will. By then, we will see how many of these “good” policemen will be able to show a record truly free of crime. Several weeks ago the document “Citizen Demand for another Cuba” was released, signed by hundreds of Cubans on the island and the diaspora, demanding that the government put into practice immediately the legal and political guarantees endorsed in the Universal Declaration of Human Rights, through the ratification of the signing of the Covenants on Civil and Political Rights and on Economic Social and Cultural Rights, which were signed by the Cuban authorities on February 28, 2008 in New York, and so far have been a dead letter for all Cubans. This demand was delivered to the headquarters of the National Assembly as written evidence of our attachment to our rights under the Constitution of Cuba and the definitive will to fight for changes that will permit a democratic transition on the island. Corresponding to the Citizen Demand, a campaign at the national level has recently been launched to collect the signatures of Cuban citizens who consider it their right to join this civic claim. This is a legal action recognized by the Constitution, the Universal Declaration of Human Rights — to which, in its development, Cuba was a promoter and a signatory — and by the Covenants themselves. It is urgent that Cubans understand that the changes we dream of can only be obtained by ourselves. We know that the government is not going to respond this time to our just demands. We know that the forces of repression are going to increase their harassment of the civic activist of this campaign; but — regardless of the number of the signatures and the official action — this is, above all, a moral action that cannot be postponed. This is an action that calls for the presence of all dignified Cubans, regardless of their ideology, their political sympathies or their religious creed. It is about recovering our citizenship, saving ourselves from the shame. In the coming months, the campaign “the other Cuba” will be developed through cultural and civic initiatives: concerts, performances, pamphlets and much more. We hope that all Cubans with a democratic vocation will support us in this and help us to spread both the activities of the campaign as well as the Universal Declaration of Human Rights, and in particular its related Covenants. 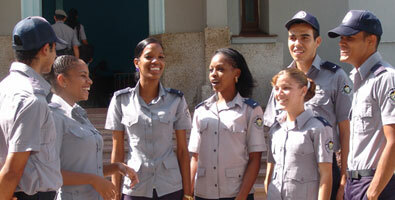 Every Cuban needs to be fully aware of their rights and the practice of them. Who knows if we may be brewing a plebiscite in favor of freedom and democracy in Cuba!